Public safety agencies of all types use MDT response software to respond to incidents and manage emergencies effectively. 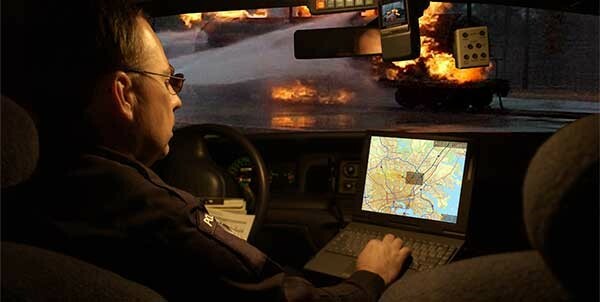 A mobile data terminal or mobile data computer (MDT/MDC) gives first responders important information about the incidents they are responding to, before they even arrive at the scene. With an interface to dispatch and emergency call centers, the MDT gives responders access to crucial real-time data as the incident changes or progresses. Armed with this information, responders can plan strategy while still on the vehicle, make informed decisions on the ground, and manage incidents more effectively. Many departments use the MDT to keep response times low in accordance with national standards. With the first four-to-six minutes of response often being the most significant, the right emergency response software in your MDT device can be crucial. Photo courtesy of U.S. Air Force. Besides the status button, is your current MDT giving you the critical information you need for your response? Here at Adashi, we have decided to completely redesign the format and interface of our emergency response software to better meet public safety requirements. 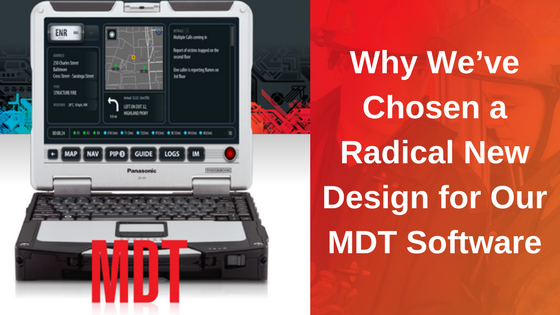 The new-and-improved MDT is specifically-designed to get responders to incidents quickly, safely, and prepared with the information they need. Below, we’ll expand on why we’ve made these changes, and how they help departments respond to and manage emergencies. We’ve all seen technology grow and change in recent years. Many of those changes deeply affect our society, and the kind of disasters we face. As new risks factors emerge and we learn more about existing hazards, technology and equipment adapt to growing needs. For instance, older MDT devices primarily used point-to-point radio technology to communicate between responders and a central dispatch location. 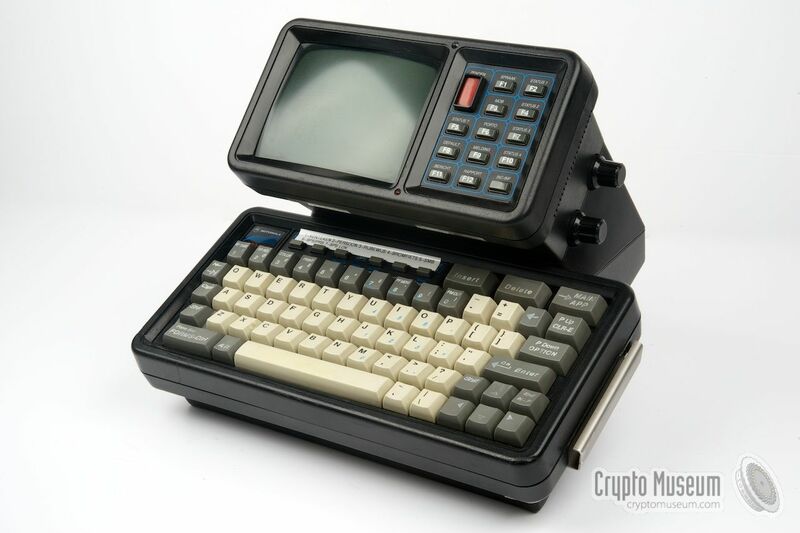 Photo Courtesy of the Crypto Museum. Nowadays, MDTs often display a great deal of information including navigation, safety guidelines, and relevant diagrams or charts. 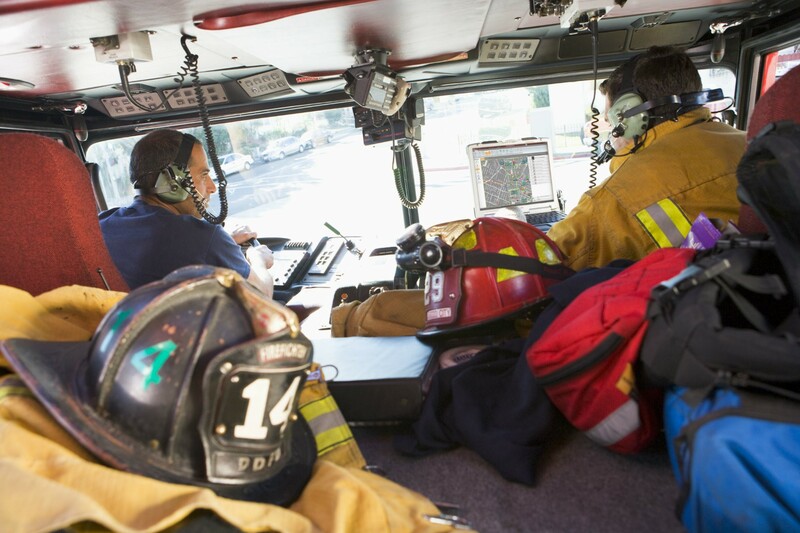 When we set out to create our newest MDT product, we wanted to find a solution that accurately addressed the needs of modern first responders and solved the problems they face. That process involved multiple important steps. Several of our staff members rode with active first responders on calls at different-sized agencies to view the process of responding to a call and see current MDTs in action. We also spoke with emergency responders to learn about their needs. What information do they need when responding to a call? Which product features could make their lives easier? What would their ideal MDT look like? The answer to those questions is different for various agencies and responders. An enterprise-level agency with career responders faces different challenges compared to a small, volunteer department. Throughout our conversations, we learned about similar problems occurring in multiple jurisdictions. With this information, we became aware of several key areas in which current market products weren’t meeting responders’ needs. A well-known fact in the public safety industry is that many agencies use MDT technology that was not designed with their needs in mind. 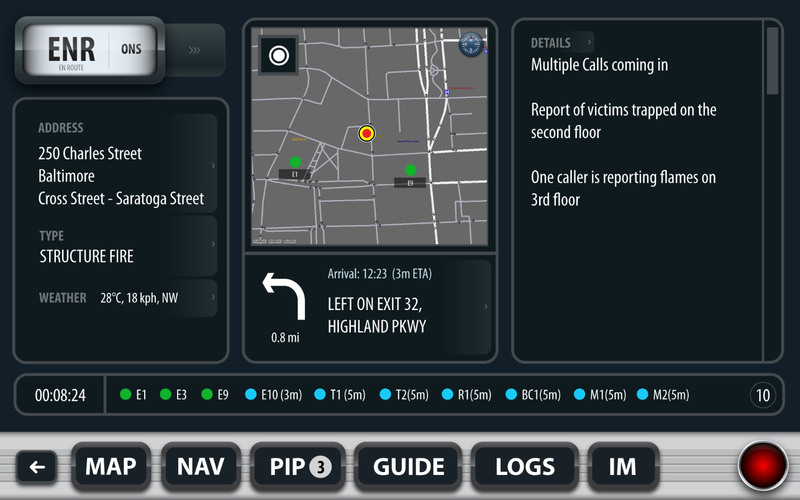 Mobile products provided by computer-automated dispatch (CAD) companies are often designed for law enforcement with one screen or tab for fire departments. Many of the police MDT features are irrelevant to the needs of fire and EMS first responders. When designing our Adashi FirstResponse MDT, we thought long and hard about the needs of the end-user of the software. While MDTs for police are often designed for a one-person operation, fire and EMS agencies usually have multiple people aboard the vehicle. 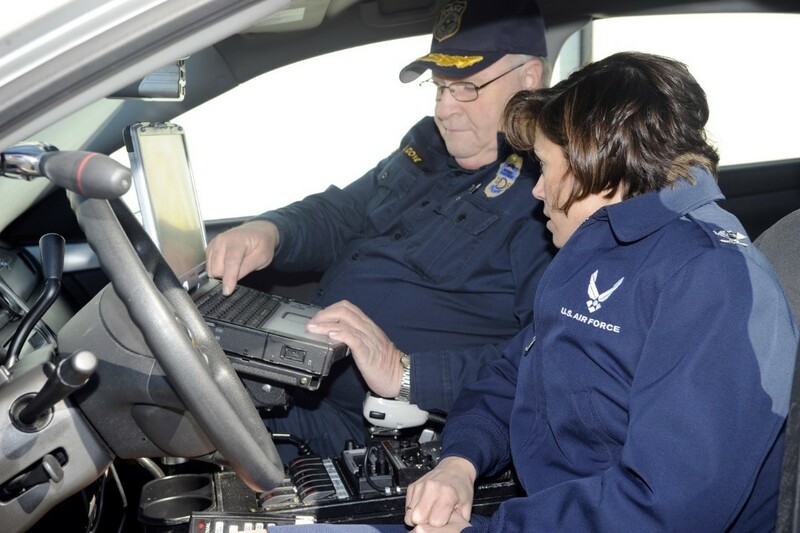 Since there is more than one person in the unit, first responders in fire and EMS agencies generally have time to review data en route to an incident while another staff member operates the vehicle. MDT response software for fire and EMS personnel should provide additional information responders can view on their way to the incident, in an easily accessible format. When a firetruck or ambulance is responding to an incident, responders on board must receive and process lots of information all at once. We found that many experienced issues trying to view multiple pieces of information at the same time. For instance, many responders spoke to us about the difficulty of scrolling between multiple screens or frantically trying to touch a small button on the MDT’s screen while on a moving vehicle. Some also experienced issues with trying to follow directions on personal smartphones while also watching the MDT screen and listening to the radio. When they went to view information from dispatch, they could no longer see their navigation. Try to update your status with the call center? Can’t access the incident dispatch notes anymore. Want to see the location of other responding units? Might not be able to see hydrant maps or view incident pre-plans. We can see how these issues affect the ability of responders to respond to an incident efficiently and start mitigating the emergency once they arrive. Our next question became, how can we get this information all in one place? How can we make an MDT interface that is convenient, user-friendly, and accessible? That’s when we got the idea for a critical information dashboard – a way to view all the information for a standard incident from the main MDT screen. All your information on one screen. Connected, integrated, together. This is the cornerstone of our new FirstResponse MDT interface. Response software that gives responders the mission-critical data they need on one screen. 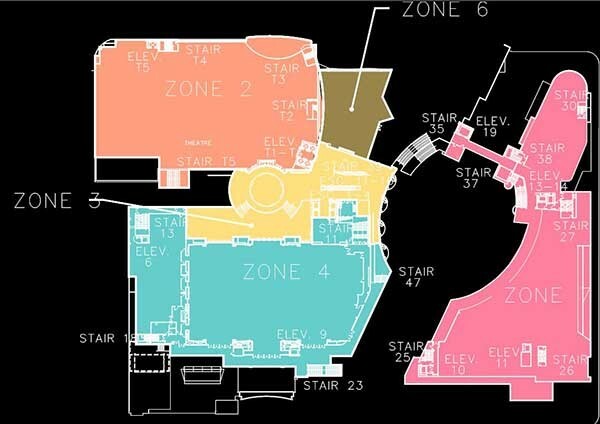 While responders have options to navigate to other screens for additional information, the core body of data needed for the response is included in the in the main view. No searching for information or pressing small buttons or tabs in a moving vehicle – everything essential is immediately visible on-screen to allow for an efficient, intelligent, and coordinated response. Buttons to alert dispatch as to the unit’s status such as “En route”, “On Scene”, etc. (with a two-way interface to CAD systems). Real-time wind and weather data. Countdown clock displaying the length of time since the incident was called in. Location and estimated arrival time of other responding units. A summary map view with access to detailed maps with Esri, HERE (Formerly Navteq), Pictometry, Google/Bing, and local or custom GIS overlays. Turn-by-turn directions incorporating turn restrictions, physical barriers and gates, one-way streets, restricted access, and relative road heights. A record of all information received by CAD including emergency contact information, local radio channels, and data on activities taken by other units. A Duress/Emergency button so units can signal distress or a life-threatening emergency. Personnel information on the crews of other responding units (when available). Real-time instant messaging (IM) capabilities among other units and commanders. We firmly believe that presenting important data in this format will help public safety personnel respond effectively and ultimately save lives and property with improved safety and efficiency. In addition to our focus on a main dashboard that would best help responders, we incorporated several other factors into our overall MDT design. When you are dispatched to an incident, location accuracy can be the deciding factor between life and death. Adashi’s partnership with Esri map technology allows us to provide enhanced map intelligence and routing to first responders, with clear, relevant information accessible. FirstResponse MDT’s advanced GIS capabilities factor in travel time, one-ways, height, weight, turn delays, fractional house numbers, intersections, multi-addressable locations, and rural addresses. It can also leverage existing local Esri map data to display parcel information, hydrants, water mains, local points of interest, and critical infrastructure data. 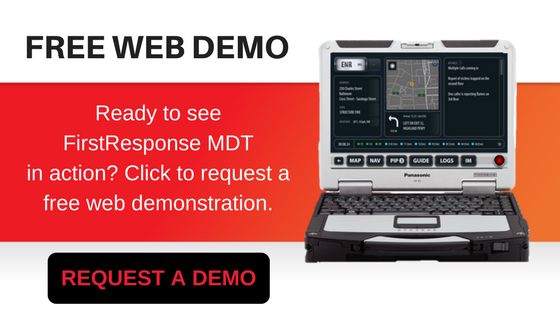 Because FirstResponse MDT maps are installed on the device, responders retain full map and routing functionality regardless of an internet connection. With this data, responders have detailed imagery of their jurisdictions. Our unique partnership with Esri enables us to deliver industry-leading GIS maps that improve routing so that responders can get to incidents quickly with complete situational awareness. FirstResponse MDT interfaces to various public safety records management systems (RMS). With a simple integration, agencies can access the full body of pre-plan information stored via their RMS. Using Adashi’s MDT, agencies give their responders on-scene access to incident pre-plans, including known hazards, type of construction, building information, Knox box locations, inspection history, and emergency contacts, along with documents such as building drawings, photographs, and response plans – all directly from the agency’s RMS. FirstResponse MDT also includes access to checklists, standard operating guidelines, bulletins, and local procedures. This information is automatically tailored to the specific incident type, hazard, and incident response role. This data is stored locally on the MDT device to make for quick and convenient access. Even if responders lose internet or cellular connections, they will still be able to access this key information. Throughout our research process, we learned that many responders encountered significant communication problems when responding to incidents. Many had trouble sharing information directly with commanders and other responding units. Others faced unreliable communication networks that failed in poor weather conditions. In addition to its direct interface with CAD, our new MDT includes two-way instant messaging. The IM feature lets crews communicate messages, photos, and other important information in real-time. 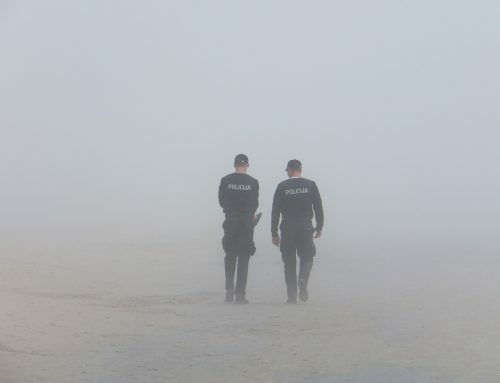 Responders can create a common operating picture among various departments or jurisdictions across all connected users. Communication is reliable and consistent regardless of geographic factors that could affect traditional communication channels. Our primary mission is to provide ideal technological solutions fulfilling the needs of emergency responders world-wide. We believe that our newest MDT response software does just that. 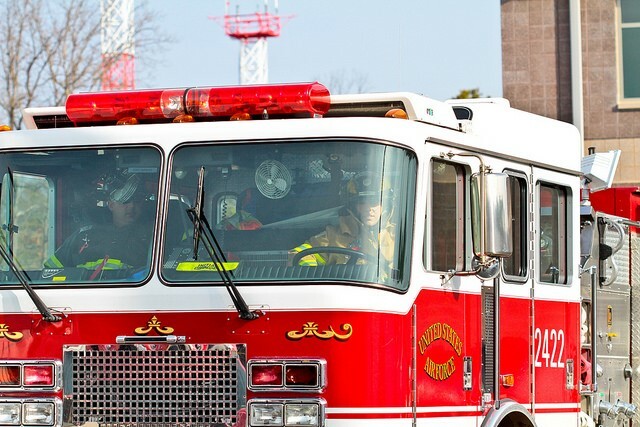 With critical information at responders’ fingertips, this revolutionary interface allows first responders to safely and efficiently respond to and mitigate incidents. As our world changes and responders face new challenges, it is important to continually evaluate existing products to see where we can make improvements. We believe this software will enable a dynamic approach to incident response and management. To learn more about our software in detail, please check out our brochure or request a free, online web demonstration. We always invite you to contact us with any questions or to request more information.